As consumers have better access to information than ever before, companies can gain a competitive edge by improving the experiences customers have every day. 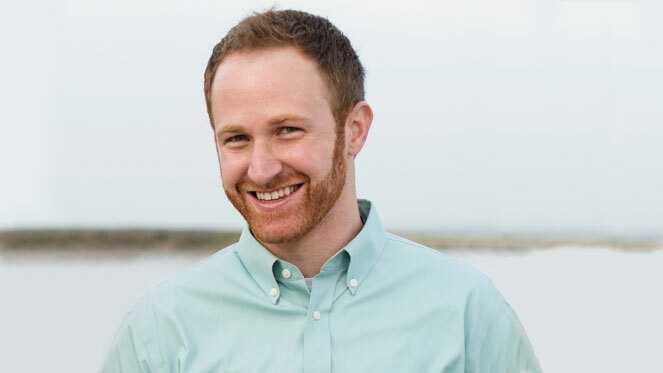 Peter Kriss (DC '12), lead research scientist at Medallia, applies research based in behavioral economics to help many of the world's largest companies learn about their customers faster and create better experiences. Kriss joined Medallia immediately after earning his doctorate from Carnegie Mellon University’s Department of Social and Decision Sciences (SDS) in behavioral decision research. "For large corporations, it's not easy to deliver the right information and communication to the right people at the right time. Enormous value can be realized in solving even a small part of the equation," said Kriss. Data science can detect which corporate behaviors are the strongest drivers of better experiences for customers, which can in turn lead to long-term loyalty and financial success for a company. How well customers like a company or how likely they would be to recommend a friend ties directly to the bottom line, especially for service-oriented industries in telecommunications, hospitality, financial services, retail and others. "Peter has the best of both worlds—heavy duty analytical ability and the finesse to distill mountain loads of data into evidence that proves value for executive-level actions, " said Greg Uckele, a former colleague in client engagement. After Uckele introduced Kriss and his team to a telecommunications client, they were able to quantify the importance of "closing the loop" with customers. Data showed that customer retention improved dramatically — annual churn decreasing from 18 percent to 10 percent — in cases where customers received a timely callback after they submitted feedback about a negative experience. "Peter can link the data to specific outcomes in a way that can change customer experiences and corporate cultures. He has a love of learning and an innate curiosity. His thirst for knowledge really powers through to results," said Uckele. In another example, Kriss and team helped a major hotel chain identify how responsiveness by frontline employees to customer feedback is predictive of improved occupancy rates—and profitability. When hotel managers increase their frequency of reading customer feedback by once per day, they see occupancy rates over the following year improve by 4.9 percentage points. If they increase the portion of social media reviews they publicly respond to, occupancy rates improved by 3.6 percentage points. When it comes to reaching back out privately to customers who report subpar experiences, those hotels that regularly document learnings from those conversations see 6.7 percentage point higher occupancy rates. Results like this give the world’s leading companies the evidence they need to improve processes at all levels from the executive suite to the customer-facing associates — all with a focus on how to create better experiences for their customers. Kriss was recently a panelist for SDS’ Behavioral Insights in Action conference. At the daylong event, he mingled with students and faculty, including one of his mentors, George Loewenstein, the Herbert A. Simon University Professor of Economics and Psychology and co-founder of the field of behavioral economics, who participated in several panels and gave a keynote on "The NEW New Economics of Information." Kriss’ Ph.D. prepared him to move on to either industry or academic research after graduation. "The deep intuition about human behavior, especially the methods for revealing more about it, is critical to my everyday work," Kriss said. Now, undergraduates can learn to assess, quantify and optimize the customer experience as well with the first-of-its-kind major in behavioral economics, policy and organizations.